Everybody is busy searching for good cake recipes so that they can bake one for their loved ones on the occasion of the valentine day. Baking powder and baking soda are two very common ingredients that we come across while preparing baked goods. Many people get confused between the two. I get many queries regarding baking powder and baking soda on my YouTube videos as also on Facebook Fan Page. So let’s study a little more about baking powder and baking soda. Both are used as leavening agents yet there is a difference between them. To begin with let’s talk about leavening agents. Leavening agents are those that cause food to rise. Air is the first leavening agent that we are going to talk about. When we beat eggs along with sugar, what we are actually doing is, we are incorporating air which helps to make the cake light and fluffy. When the air is released where does it get entrapped? Cake or bread or any other leavened product forms a 3D structure of starch and glucose from the proteins in which air gets entrapped and then heating makes this structure firm and thus air remains inside the baked product. The next leavening agent is steam. In the recipe of idli, the agent that causes it to rise is air. The rice is the main ingredient in it and when it is steamed, the volume increase and the idli becomes nice and soft. Yeast is yet another leavening ingredient. It is available in two forms – fresh yeast and dried yeast. Yeast is a fungus and when it comes in contact with sugar and moisture, it undergoes the process of fermentation. The carbohydrates are converted into carbon dioxide and alcohol and the carbon dioxide causes the food to rise. Baking powder and baking soda are chemical leavening agents. In many baking recipes we either use baking powder or baking soda. Let’s find out the difference between the two. Baking Powder and Baking Soda are added to the food to release the carbon dioxide which causes the food to rise and makes it light and fluffy. Baking soda is pure sodium bicarbonate. When it is combined with moisture and an acidic agent like yogurt, buttermilk, lemon juice, orange juice or lemon zest, it releases carbon dioxide which causes food to rise at oven temperature or cooking temperature. By cooking temperature we mean to say that while steaming food items like dhokla, we add lemon juice combined with baking soda (or cooking soda) just before steaming. The carbon dioxide will cause the dhokla to puff up only while it is being steamed. You need to bake or cook the food as soon as baking soda is added to it or else leavening action will fail and the food will not rise. Baking powder is sodium bicarbonate plus an acidifying agent like cream of tartar and starch. In spite of having acid and alkali as components, they do not react with each other. The starch separates them from each other but when they come in contact with moisture, they start reacting. There are two types of baking powder. Single Acting Baking powder – This baking powder is activated only when it comes in contact with moisture and hence you should bake the food as soon as you add it. Double acting baking powder – This baking powder can wait for baking. It basically reacts in two phases. Some of the carbon dioxide gets released at room temperature while majority of the gas is released while baking. Some recipes have baking soda as one of the ingredients while others have baking powder. Baking soda is alkaline in nature and hence it is used when one of the other ingredients in the recipe is acidic. The baking soda will taste bitter unless it is used along with acidic ingredient. Baking powder is neutral in taste since it has both alkali and acid and hence it is used with neutral tasting ingredients like milk. If you do not mix the leavening agents properly into cake or cookie batter, it will make the product dense. What you need to do is, sift the leaving agents along with dry ingredients like refined flour, cocoa powder so that it is mixed properly. If the leavening agents are added in excess the result will be a dry or crumbly texture. Too much leavening agents can also cause cake to sink along with a bitter aftertaste. In most cakes, where ingredients like date, dried fruits or carrots are used, the recipe calls for both baking powder and baking soda. Baking powder does most of the leavening whereas the baking soda neutralizes the acids and adds some tenderness to the product. The quantity of baking soda is always less than baking powder in this case. Too much baking soda will result in soapy taste and coarse texture. Both baking powder and baking soda should be stored in cool, dry area. Make sure that the packet is properly sealed after the use. How to check if the baking powder is active – add a teaspoon of baking powder to one fourth cup of hot water, if the mixture bubbles, baking powder is still active and fit for use. How to check if the baking soda is active – it is same as the test for baking powder. You just need to add one fourth teaspoon of vinegar to the water. If the mixture bubbles up, the baking soda is active and fit for use. Look at the ‘best before’ or the ‘expiry date’ on the box for both of them. While I was shooting for a TV show, I made a unique cake. It was coffee and prune cake. The recipe had both baking powder and baking soda as ingredients. I used both of them because, as mentioned earlier, the cake was a heavy one since it had dried prunes. In this case baking powder did most of the leavening. Baking soda was added to react with the buttermilk and make the cake rise and at the same time retain the moisture in the cake. Indian snacks like handvo and dhokla are the savoury versions of cake. In these recipes sour ingredients like yogurt and lemon juice are used and hence soda bicarbonate is used to make the product rise. I am sure that now all your confusion about the two leavening agents would have cleared and henceforth you will be able to use them without any fear of goofing up the recipe. But the best suggestion I can give all enthusiastic bakers, please follow the recipe to the T. That way you will never go wrong. Here are some recipes that will require you to use baking powder or soda, make sure you try them out. Celebrating Republic Day – the foodie way! It’s lights, camera, action time in office – we are celebrating Republic way with a bunch of zealous and upcoming chefs from five major catering colleges across Mumbai, who are participating in a fun cookery competition called “Sanjeev Kapoor’s Cook Studio.” The entire event is also being covered by my channel FoodFood for telecast on TV with Chef Anupa Das hosting it. Each college has a team of two chefs, neatly dressed in their uniforms ready to take on the challenge. Every team is allocated with a “Buddy” who is an internal member from our own team of chefs. The buddy is supposed to help the team go ahead in their challenge by involving in some minute things like cutting, chopping, etc. but not the main ideation. About the cooking challenge – each team will have to prepare two dishes in 90 minutes with the mystery ingredients that are given to them. Besides this, they were given a chance to go to the pantry section and pick up the common ingredients made available as per the requirements in the first 20 minutes only. The cooking theme is Indian and can have vegetarian as well as non-vegetarian dishes. The dishes need to be presented at the end of the 90 minutes to Chef Sadiq Khan from the Taj Mahal Palace, Mumbai, who is here to judge the competition. Just a quick update at the moment, I’m posting some pictures of the same – so do check out today’s event pictures on Facebook! The winners and more on the event will follow soon. Long live the love for food! One more feather in the cap! 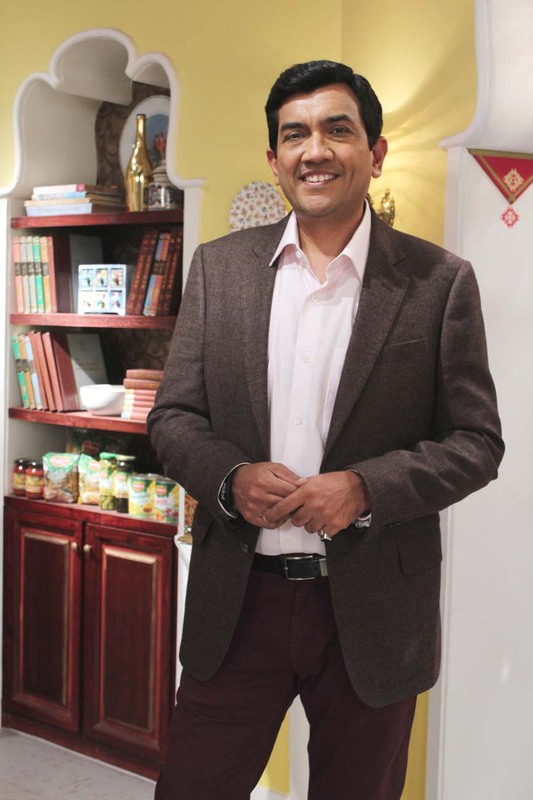 Can’t believe it was just in June 2012 that the Sanjeev Kapoor fan page on Facebook became a 4 lac fans in count. Well, one more reason to cherish – the Facebook page just touched the 5 lac fans count! Super thrilled! First and foremost, kudos to my entire team for putting in an incessant effort, day in and day out, because of which this has been made possible. And obviously a bigger thanks to all my fans, followers, viewers and food lovers for showering such constant love and respect on me and my endeavors. This really is a boost for me and keeps me going on and on! Definitely promise to keep on bringing more and more creative and new recipes for one and all. All for the love of food! Every 12 years throngs of people flock the city of Allahbad, to attend what is said to be, and I’m quoting it. “The world’s most massive act of faith”. The Kumbh mela. I, for one have been really lucky to have been able to see this incredible phenomenon. In 1989, 24 years ago when I had just about begun my career as a chef working with the ITDC at Hotel Varnasi Ashok, I was given the opportunity to be a part of the team that catered to the food needs of the array of people that come to visit the Kumbh mela. I can assure it was an experience of a lifetime. There is no evidence of a specific time or era during when the tradition of the Kumbh Mela began, but the legend dates back to the time during the Samudra manthan, when the gods and the demons had to churn the sea so as to obtain amrit or the nectar of immortality from the sea. When this pot of nectar emerged from the sea, the gods escaped with it. What followed was a fight between the devas and the asura’s that went on for 12 days ( equivalent to 12 human years! ) As the gods tried to protect the amrit from going into the hands of the demons, four drops of this nectar fell at four different places namely Haridwar, Ujjain, Nasik and Prayag ( Allahbad). Ever since it is believed that these places have developed a mystical quality and anyone who has a dip in the rivers in these divine places, washes away all his past sins and is eligible for liberation from the cycle of rebirth. During the Kumbh mela the piety of this snan is increased a hundred folds. The kumbh mela is called so, as this sacrament started because of the pitcher of nectar and kumbh is another name for pot/pitcher. It is held every three years in each of the places mentioned above. The Kumbh held at Allahabad is considered the most sanctifying because it is the place of confluence of the three sacred rivers of Hindu mythology, the Ganga, theYamuna and the Saraswati. This has earned Allahabad the title of “Thirtharaja – the king of holy places”. The Maha kumbh mela takes place once in 12 years. The 2013 kumbh is extra special because a planetary alignment so auspicious happens only once in 144 years. The Allahabad Kumbh mela 2013 began on the 14th of January on the day of Makar sankranti at the holiest of holy places, Prayag, with a loud, colorful vibrant and numinous procession that included hundreds of thousands of people, all waiting to take a dip in the holy waters, to wash away their bad karma. The “shahi snan” as it is called happens in the most organized manner possible. A strict order is followed. The first to take a dip are the famed Naga sadhu’s. The Naga sadhu’s are one of the most fascinating and important elements of the Kumbh mela. They are Shaivaite saints, followers of Lord Shiva, who have given up worldly possessions and reside in the Himalaya’s. The only time Naga sadhu’s decend down from the holy mountain and can be seen amongst us is during the Kumbh mela. Completely unclothed, wearing garlands made of marigold flowers, matted locks of hair, ash smeared all over their body, trishul’s in hand, they make quite a sight as they take a dip in the River with loud chants of “ Ganga maiya ki jai” and “Jai bhole naath”. After the Naga Sadhu’s have had a dip, next in line are the Vaishnav Vairagi’s or the sages who follow Lord Vishnu, and are basically wandering mendichants ( monks ). Then comes the turn of the several other holy men belonging to different faiths and sects of Hinduism. Only then do the scores of pilgrims from all over the world enter the holy rivers and bath themselves with the blessings of all the gods and the saints. The Kumbh Mela goes on for period of 75 days. During this time, pooja’s and yagna’s are performed on the ghats, offerings are made, the sounds of the conch shell or the shanka’s being blown are synonymous with the rhythmic recital of shloka’s and mantra’s , there is a divine scent from the incense sticks that are lit, dances are performed and drama’s are enacted, saffron colored flags are hoisted as a crowd of people submit themselves to the pious waters, lost in devotion. This is a feast for all the senses at once. Since the mela is held during the winter months of January and February the temperatures can go as low as 9 degrees Celsius, but the chill does not deter the pilgrims from taking a dip in the icy cold waters and then viewing the sights within the mela. The fact that all motor vehicles are banned from the mela on days of the special snan does not become a hindrance either. Yes. All movement Within the mela happens on horseback, bullock cart on foot or the ever so famous cycle rickshaws. The mela period also sees a high rise in the revenue of the locals. As they set up several stalls selling things of religious importance to handmade artifacts. Thousands of food stalls are also set up. The food during the mela is strict vegetarian. Puri-bhaji, Moongdal Kachori , dryfruit or mawa kachori’s, jalebi, imarti, samosa’s, jeera aloo, chaat papdi, Badam doodh and other specials from Allahbad are must try’s. A lot of people even carry their own utensil’s and stoves and cook food along the banks, while others eat food at the tents that have been set up to provide meals to the lakhs of pious men that make the site their home for the 2 odd months of the Kumbh. On certain special dates like Mahashivratri, Basant panchami, Maghi purnima etc. the significance of the ganga snan increases. The number of people on the ghats are also a lot higher on these days. A rough estimate on the number of people attending this Maha Kumbh mela at Prayag this year is about 100 million. Around 7 lakh tents have been erected, pipelines have been laid to provide drinking water to the pilgrims, 25000 tonnes of food grains made available, temporary bridges have been constructed on the rivers, scores of policemen ( some on horsebacks !) are present to control any law and order situation that may arise, super specialty hospitals have been built, fire security personnel are there 24/7. Lakhs of volunteers offer their services to this holy gathering. The combination of technology and tradition can’t be ignored as GPS tracking facilities and huge Led screens have been installed at several locations at the mela. I read somewhere that the crowds on the important days are so massive that they are visible from space satellites. Whoa ! that is something. While most people visit for religious reasons, a large number of people come just to view the spectacular scenes as the event unfolds. Important people from all walks of life attend this mega event. Even departments at the Harvard University are so intrigued by this sensation that they have taken it up as a topic of research. With numbers and statistics this high the chances of glitches happening are not eliminated. Years ago there was a stampede at the mela, and sometime in the 18th century there was an outbreak of cholera, and there are always instances of people getting lost. However in the recent years there has been no room for criticism directed towards the administrative machinery organizing this massive fair. It is indeed a spectacular feat. The Kumbh mela offers a magnificent view of thousands of people old and young, rich and poor, gathered together at the meeting point of the holy Ganges, the Yamuna and the mystical Saraswati, to attain the ultimate goal of Moksha. Belief in the supreme power, faith in a tradition that is being carried on for centuries and a chance to be a part of something this splendid draws the crowds to the Kumbh mela year after year and will continue to do so. 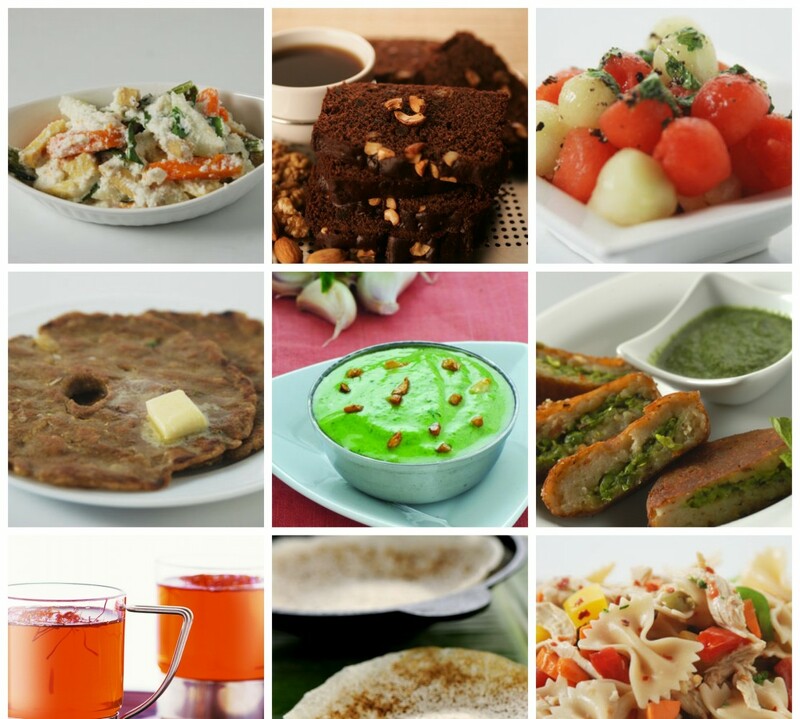 Here are the recipe links to some dishes popularly eaten during the Kumbh mela , so you can try them at home and treat your taste buds to some divine food. Innovate and be fit, after all stale is unhealthy! You all must be thinking what innovation has got to do with health. Well, let me tell you a little mysterious secret – for a Chef like me, it’s really challenging to constantly come up with stuff, which others would get inspired from and I don’t want anyone, ever, to get ill with whatever I practice and preach! Ill, not physically but mentally – innovation and newness in cooking, thus, becomes important for me to ensure that I give something so exciting to people, that they are ever interested in food – be it cooking, eating, reading or just about anything related with food! Maybe the traditional old stuff wrapped up in a different style and look, so it does not stale on the palates. It’s not very advisable to eat stale food and if you cling on to age-old things and not broaden your horizon while cooking the food, you will soon lose the effect on the masses! It is good to know your roots and where you come from, but don’t let that become obsolete. Change is inevitable everywhere, be it human nature, technology, trends or food! So, it’s necessary to adapt to innovation and move ahead with the changing times and let the past go by! Innovation in the culinary world has been there, majorly as a result of the human mind and nature, from quite some time. And I beg to differ with all those who term it as the “latest thing.” Had it not been all those great inventors and discoverers, whom people termed as “crazy” for their ideas and concepts, the world wouldn’t have been sustaining the way it does today. Thanks to their madness, which bestowed upon us some revolutionary ideas like electricity, telephone, refrigerator, etc., and the list just goes on and on! Coming to food, food trends and inventions, the story of innovation dates back to almost 17-18th century. One of the best examples that can be talked about is when the courageous William Cullen from the University of Glasgow, Scotland demonstrated the method of artificial refrigeration in 1748. Next in line were American inventor Oliver Evans who designed the first refrigeration machine in 1805 and Jacob Perkins who built the first practical refrigerating machine in 1834. These weren’t enough, so an inquisitive American physician John Gorrie came up with a refrigerator based on Evans’ design in 1844 and the legacy was carried forward by the German engineer Carl von Linden who patented the process of liquefying gas in 1876 which forms a part of the basic refrigeration technology, even today! It is very true that inspite of ice being used to preserve food since the prehistoric times, the refrigerator remains one of the most important inventions in the human history, or rather, I would say one major innovation in the culinary world. This is just one instance, history is full of such things and aspects that tell us how advancement can creep into our daily lives and produce such wonders, without which we can’t even dream our lives, especially in this jet-set-tech savvy age of today. Some other significant inventions of the culinary world that rule the world today are pasteurization, sterilization, canning, baking, grinding/milling, fermentation, frying, microwave cooking, etc. – the list is just too exhaustive, so let me just stop it here with these things as there is a lot more to talk about innovation and modernization in general. Keep a watch over my blogs, I might just write about any of these scientific terms, anytime! Just imagine, when you are cooking in the kitchen and something just happens accidently, comes without a warning and goes on to become something so popular, that people start associating you with it, for centuries to come. There is obviously an excitement and a sense of achievement if something like this occurs. Here, I would love to share one such moment of mine – the dish Shaam Savera, which people have loved over the years and has become a signature dish of mine, just happens to be a result of such an accident that arose from a mixture of ingenuity, innovation, skill, experience and knowledge! I was supposed to cook the regular palak kofta for my show on TV, but when the creative adrenaline rushed, I just came up with the tricolor plated version of the humble palak kofta, the Shaam Savera, which was simple and easy, yet sophisticated. Its very true when we say that “its all in the head”, i.e., if you are confident enough, you create great stuff. Just for your information, Shaam Savera is nothing but paneer (cottage cheese) koftas coated with spinach, served in a creamy tomato gravy! It’s a bit laborious, but I can assure you that all the efforts are worth it when you get a bite of it. Talking of accidental and innovative inventions, let me share a list of some food items which might not make you believe that they came into existence, by chance – chocolate chip cookies, potato chips, saccharin, raisins, Iceberg lettuce, Tofu, Ice-cream cones and cornflakes. These are just a few from the whole bunch! 1. Using colours on the plate. Play with colour and be cheerful and happy. No one likes dull paintings, same goes with food! 2. Making the ‘food’ on the plate a “star” and not the garnishes. Keep decorations simple. 3. Using edible garnishes which are unique and easy to make at the same time. Remember, you don’t want to end up plating a dish which looks confusing! Innovation is really a big thing, especially in the culinary world – whether it’s the kitchen going digital with smart phones, tablets, laptops, etc. and websites providing millions and trillions of recipes from around the globe at just a click or the emphasis on local fresh produce use in cooking and molecular gastronomy reaching homes – innovation is definitely here to stay, as long as the human mind ponders over new, unusual, innovative and creative thinking. And why not, when its doing good to humanity in many ways! Hail innovation! Quinoa and Asparagus Soup with Floating Islands; Jau Jhinga Bhavnagari; Jhunka Bhakar Tartlets ; Mango and Brown Rice Payasam in Chocolate Cups with Jamun Jam.